Birthday wishes to mother in law. Best shayari collection with quite and greetings. An amazing husband to support me and a lovely mother-in-law to understand me – my marriage made both my wishes come true. Happy birthday. You’re my new best friend after marriage. Happy birthday. Rearing a child, managing a family, achieving professional success and being a wonderful person – you’re my role model for everything. Happy birthday. If you are so extraordinary as a mother-in-law, I can’t even imagine how amazing you would be as a mother. Happy birthday mom. You’re not my mom-in-law, you’re the mom-who-I-am-in-love-with. Happy birthday. Technically we may be in-laws but for all other practical purposes, we are BFFs. Happy birthday. I don’t know what I did to deserve an awesome mother-in-law like you, just like how you don’t know what you did to deserve an amazing daughter-in-law like me. Happy birthday. We may be in-laws, but a great chemistry we share. Just like a mother and daughter, we make an awesome pair. Happy birthday. Dear mother-in-law, today is your birthday. And I hope that you have the best birthday ever. Love you. On this day, I want to express my gratitude for the long lasting impact you’ve had on me and my entire family. May you never stop inspiring us. Happy birthday. Never would I have dreamed in a million years that I would end up having a caring and loving mother-in-law like you. Thanks for being such a wonderful mother and friend to me. As you celebrate your special day, I pray for your happiness and prosperity. Happy birthday, dear mother-in-law. I hope you enjoy every single second of this beautiful day. Thank you for being such a major role model to my family and me. Heaven knows I couldn’t have asked for a better mother-in-law. Happy birthday. I hope you enjoy every minute of your special . The world sees you as my mother-in-law, but you and I know that we are more than that. We are the best of friends. Happy birthday, my beloved. There’s no two ways about it, you’re simply an amazing mother-in-law! Have a super duper happy birthday! Wishing a fabulous birthday to my dearest mother-in-law. Mom, I pray that your special day be filled to the brim with sparkling joy. Love you. Thank you for all the immense love and care you have given me over the years. You’re the best, and I pray for nothing but happiness and joy in your life. 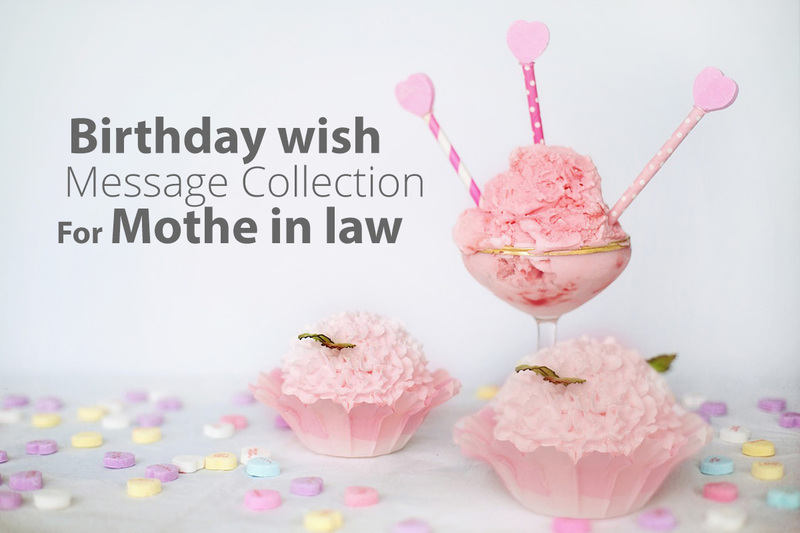 Have a wonderful birthday, dear mother-in-law. Sending the warmest birthday wishes to my loving mother-in-law. Thank you for always treating me like your own daughter/son. Happy birthday. May your big day be as wonderful as you are. Happy birthday, mother-in-law. May your special day bless you with plenty of happiness. Mother-in-law, it’s your birthday, and by Jove we shall celebrate you today! Wishing you all the happiness this world can give you. Happy birthday. My mother-in-law you may be, but a real mother, friend, and mentor I find in you. Have a very happy birthday. Happy birthday to my cool mother-in-law. As we celebrate this special day, my one wish for you is that you live long enough to be toothless. Hope you have a great time. Mother-in-Law, as you mourn the demise of your youth, take solace in the fact that old age isn’t really that bad since you get to enjoy a number of things, including senior citizen’s discount. Happy birthday. Many mother-in-laws tend to be evil, but you aren’t. Each time I pray to God, I thank Him for not making you a ‘monster’-in-law. Have a happy birthday, my evil-free mother-in-law.